On the afternoon of March 20, Chairman of the Provincial People's Committee Phan Ngoc Tho met and worked with Mr. Lee Garak, Chairman of Korean Traditional Craft Association on the implementation of cooperative activities between the two sides. 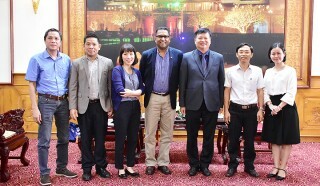 At the meeting, Mr. Lee Garak, Chairman of the Korean Traditional Craft Association expressed the desire to have activities to introduce and promote Korean traditional craft at Hue Traditional Craft Festival 2019, and attract investors as well as strengthen the exchanges between traditional craft artisans of Korea and Thua Thien Hue through the event. 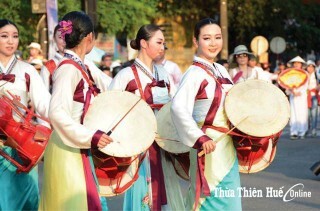 The Association will open its office in Hue on April 30, and hopes to have the support of the province to strengthen the cooperation relationship and the exchanges of culture and traditional craft between Korea and Vietnam in general, and Thua Thien Hue Province in particular. In addition, the Association wishes to cooperate in training, transferring traditional craft technology, and funding the award of the provincial competition of skill championship. At the working session, Ms. Tran Thi Ngoc Diep, Executive Director of the Korean Traditional Craft Association, Vietnam Branch, and Ms. Phan Thu Hang, Director of the UNESCO Center for Conservation and Development of International Art and Culture also proposed cooperating with the province in the investment into the pedestrian street at Hue Citadel, and the investment project to build Hue traditional craft villages, where Korean traditional craft is also produced and displayed. 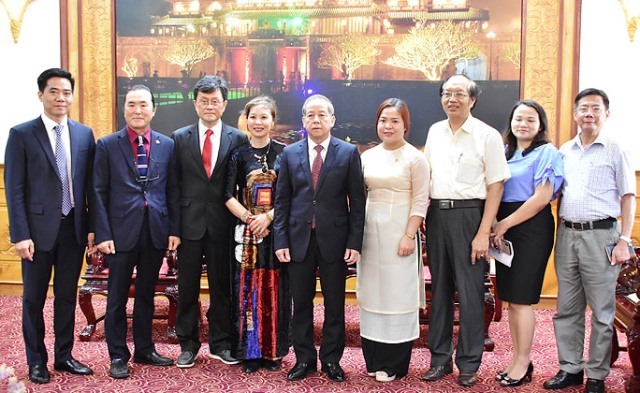 Chairman of the Provincial People's Committee Phan Ngoc Tho appraised the activities and ideas of investment cooperation of the Korean Traditional Craft Association and its partners in the coming time. 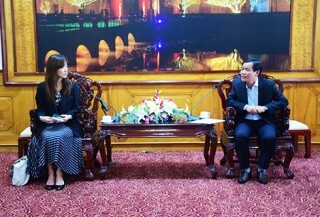 At the same time, he said that there were many cooperation opportunities between the two sides, and hoped that the opening of the Association's office in Hue by the end of April would promote the cooperation relationship between Thua Thien Hue Province and Korea, and the Korean Traditional Craft Association in particular. 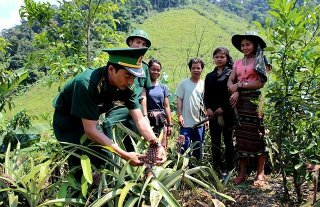 The Chairman of the Provincial People's Committee hoped that with the aid of the Association, Thua Thien Hue Province would receive the support and cooperation of the leading traditional craft experts of Korea in training human resources to produce handicraft products, especially gifts and souvenirs for tourism. 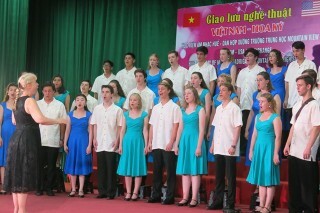 At the same time, he wished that the building of cultural exchange space between Korean and Vietnamese traditional craft in Hue would be attended; especially the investment in the construction project of Hue traditional craft villages combined with the introduction and production of Korean traditional craft in Hue.